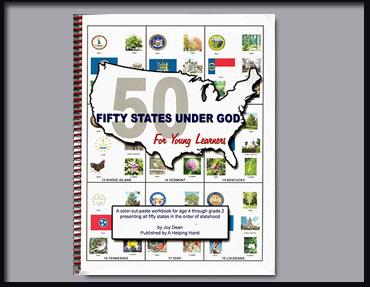 Fifty States Under God for Young Learners is a color-cut-and-paste workbook covering all 50 states in the order of statehood! 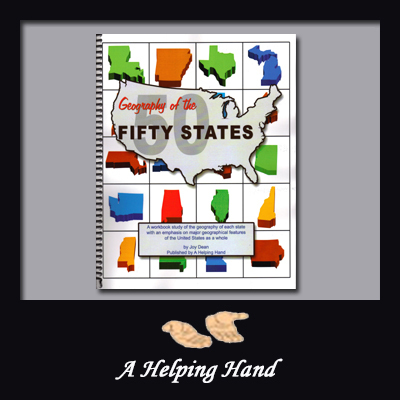 This book will help build character, patriotism, and Christian values through interesting information about people associated with each state and will develop a love for history and an enjoyment of geography at an early age. 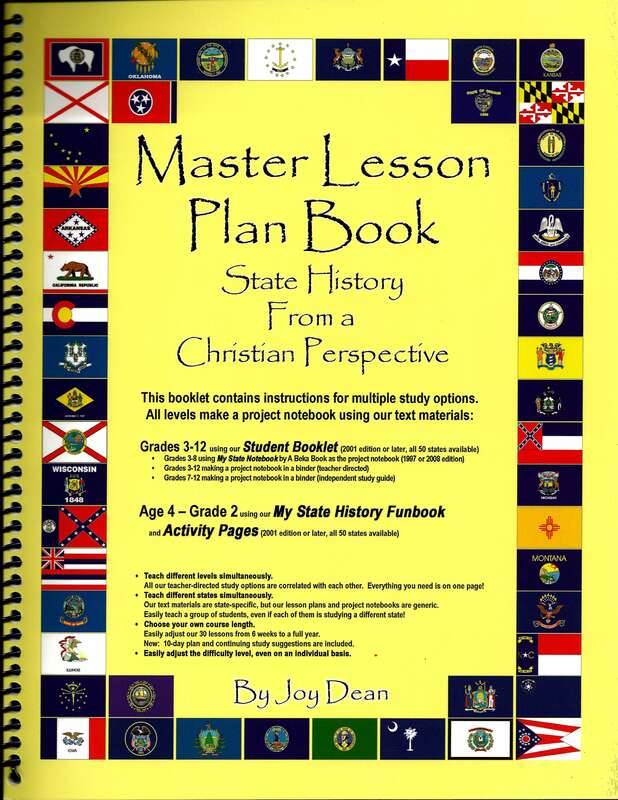 Includes many interesting and important facts from our 50 state history textbooks to help build character, patriotism, and Christian values. 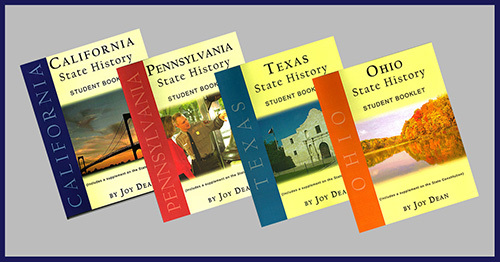 Provides information and activities appropriate to the level of young learners to pique their interest and feed their curiosity, developing a love for history and an enjoyment of geography at an early age. 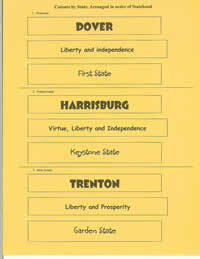 Although young students cannot read the text portions, the text emphasizes values to which children should be exposed. 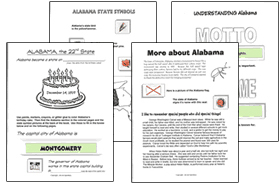 Most children can enjoy and profit from the information when it is read to them. 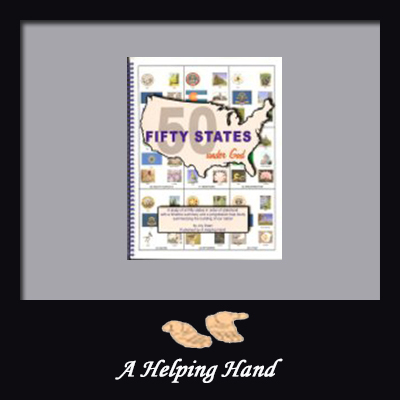 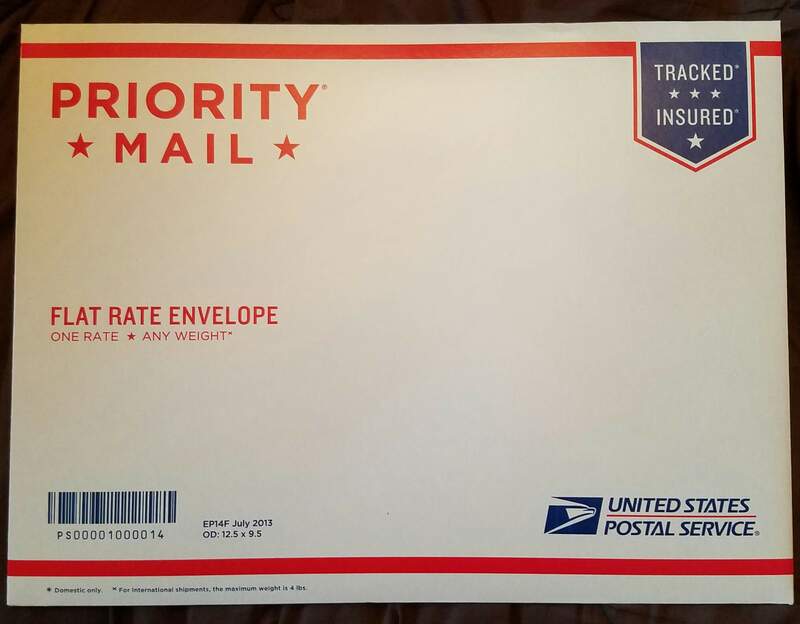 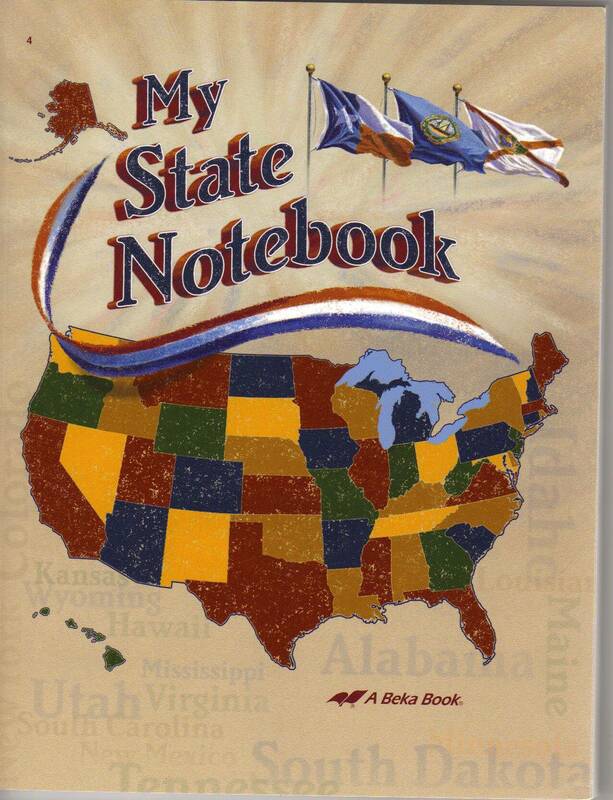 Includes four fun workpages on each state, covering state symbols, mapwork, special people, date of statehood, capital city, motto, and nickname. 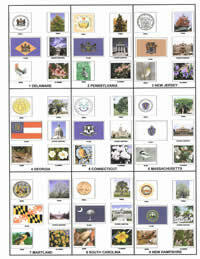 Color state symbol pictures provided for both levels.